Ten years ago, Singh had a bucket of acid thrown in her face by several assailants. “I’m not a normal girl,” says Monica Singh. It’s a balmy August day in New York City, and the 28-year-old is sitting on her bed, legs crossed, wearing a sheer black cardigan over a blouse that’s buttoned snugly to the top. Ten years ago, a group of men splashed a bucket of acid on Singh as she sat behind the wheel of her car in Lucknow, India. The attack was orchestrated by a man who had proposed to Singh, but didn’t get the answer he wanted. Sixty-five percent of Singh’s body was burned instantly. She awoke in a trauma center as medical professionals doused her body with cold water, trying to save what was left of her skin. Her family stayed at her bedside and with their constant support, she was motivated to keep going. Through more than 40 reconstructive surgeries, Singh never let go of her dream to work in fashion, and after attending India’s top fashion school, Singh moved from New Delhi to New York to pursue a degree in fashion marketing at Parsons School of Design. Her foundation, The Mahendra Singh Foundation, provides guidance and support to other acid attack survivors. “After their faces get ruined, they hesitate to get back into society and nobody hires them,” said Singh, who hopes her company will one day hire survivors of such attacks. 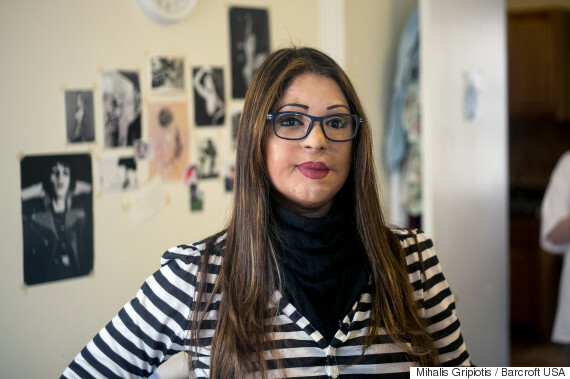 Acid attack survivors are reminded of their attacks every time they look in a mirror. “We haven’t been a victim for one day or a certain time,” Singh says. “We are victims since then.” Her foundation’s aim is to guide those women toward lives of independence and self sufficiency. Singh’s determination, spirit, and resilience make her far from ordinary; she’s extraordinary. Her advice for other survivors?